Lilydale is a unique 319-unit Executive Condominium development nestled within a tranquil setting of shady trees and blossoming floras. Lilydale is created to please home owners who desire a country-style living that’s away from the hustle and bustle of the city. Beyond the confines of the private retreat at Lilydale, you’ll find the convenience of modern facilities and amenities within close proximity. Singapore Orchid Country, Lower Seletar Reservoir and numerous neighbourhood parks are ideal spots for picnicking or a relaxing stroll. 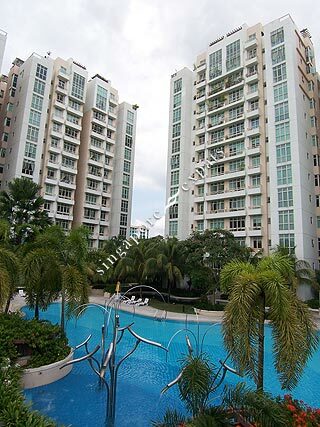 Lilydale is also near to the Yishun HDB Estate and the Khatib MRT Station. Amenities can be found at the neighbourhood centres and Northpoint Shopping Centre and HDB estate where shops, clinics, markets are located. Lilydale is a stone’s throw from public transportation including the Khatib MRT Station, Yishun MRT Station and Yishun Bus Interchange. Lilydale is accessible via the nearby Seletar Expressway (SLE), Central Expressway (CTE) and Tampines Expressway (TPE). Traveling to town takes about 25 minutes.